A deck for kids to run around will probably have a different design than one meant for relaxing. You will have a better idea of the size, shape and materials to use once you’ve determined the primary use for your deck. Many people go for the standard rectangular shape, but modern trends include more odd shapes, angles and even curves. 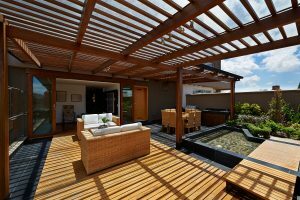 Your deck should be big enough to meet your lifestyle but not more than 20% of the square footage of you’re the house according to experts. A deck that is too large can make your house seem smaller than it is. What is the view like from the deck and from inside your home? As much as possible, you want to be sure there’s nothing blocking what you want to see. 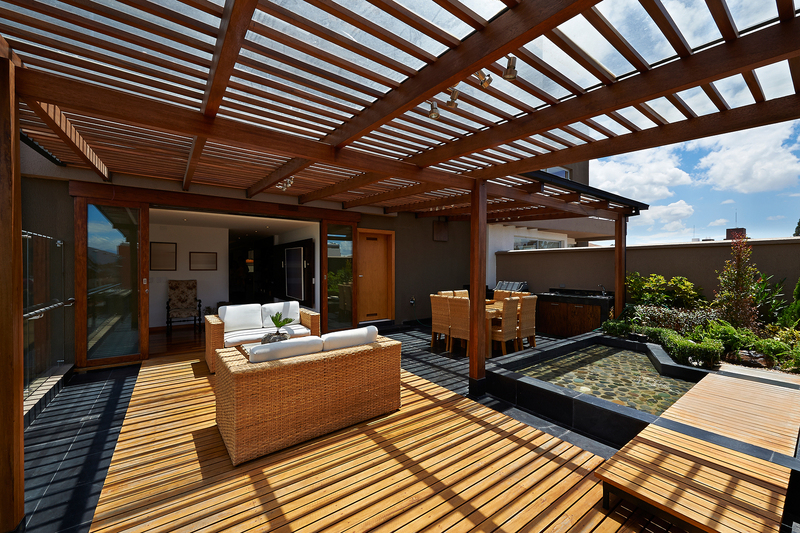 You should also plan your deck so that people are naturally positioned the direction of the view. Depending on what you’re looking for, the deck can be designed to appear as if it’s part of your house or stand out on its own. In either case, you’ll want to have some sort of transition landmarks between the deck and your yard. Using stone or brick next to your deck can certainly enhance your deck’s appearance. Steel and timber are the primary materials available for frames in deck construction. Timber frames usually involve beams, posts, and joists. Steel frames are another option and are better suited for fire hazard areas. For your deck and stairs, hardwood works well for family living and it’s resistant to insects and decay. Be sure to account for your lifestyle and your climate during your planning phase to help ensure your deck construction project is a success.